Looking to buy? Check out these great TAPit promotions! 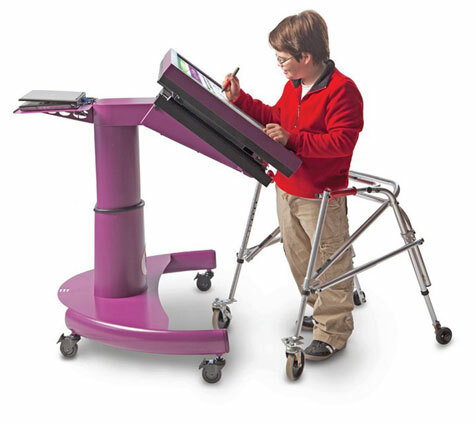 The TAPit® platform is the Touch Accessible Platform for Interactive Technology. It is the first assistive, learning center using "intended touch" to serve each individual's special needs. Intended touch technology enables students of varying abilities to interact with the screen. Get to know the TAPit system first hand with our video highlights. The TAPit platform makes learning attainable to help build confidence and reach new goals. 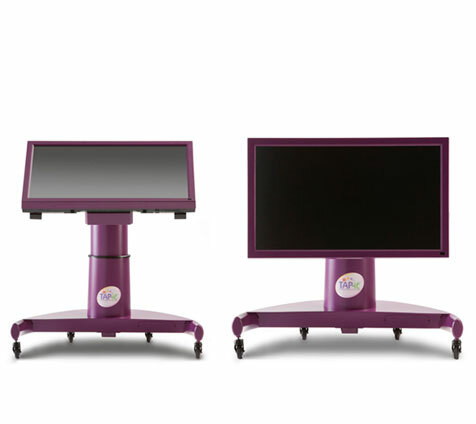 TAPit is the first ADA compliant interactive learning station designed to recognize the difference between an arm resting upon the screen and a finger or assistive device intentionally tapping an image. The TAPit platform is within reach for people using wheelchairs, walkers or other mobility devices, providing full access to the screen with easy adjustments that adapt to individualized needs. 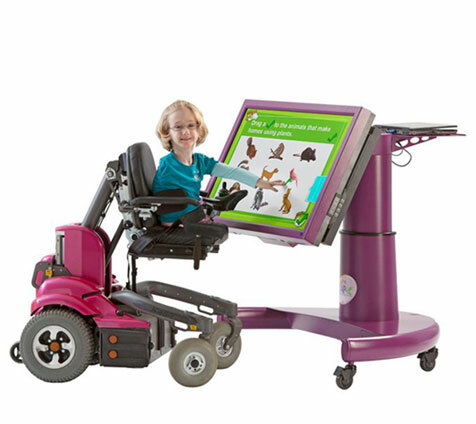 With the touch of a button, the TAPit platform can move up or down and the 42" interactive LCD panel can be tilted from 0 - 90 degrees. TAPit requires the installation of special software drivers on each computer utilizing the touch accessible platform. See the TAPit platform open up doors for students and adults who never had them opened before. You’ll hear from educators and therapists describing their actual experiences with this revolutionary tool that offers endless learning possibilities and outstanding independence building capabilities. Meet Matthew and see how the TAPit platform adapts to his unique needs. Watch Louisa say "Thank You" for the first time with the help of TAPit. © 2013-2019 TeachSmart.org. All rights reserved.